A fanatical family's belief in their divine destiny leads to a 13 day standoff with the FBI. is the true story of the events leading to that fatal confrontation. Nine years after controversial Utah polygamist John Singer is shot and killed in a confrontation with law ofﬁcers. his widow Vickie (Tess Harper) and son-in-law Adam Swapp (Kyle Secor) take revenge on their community by bombing the neighbouring Mormon Centre. After the bombing, a team of 150 law enforcement officials headed by Ofﬁcer Doug Bodrero (Paul LeMat) and FBI Special Agent Bob Bryant (Dennis Franz) surround the Singer compound. When all attempts at communication fail. the FBI wages a relentless campaign of psychological warfare against the family. This gripping story builds momentum over the course of thirteen long days and nights, resulting in one of the longest sieges in FBI history. 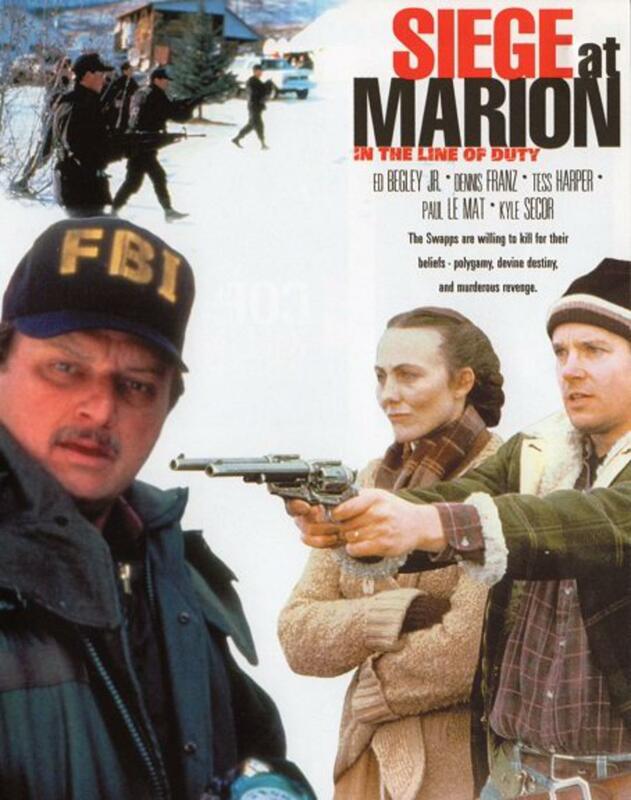 Part of the highly rated, critically acclaimed series of authentic police dramas, “Siege at Marion : In the Line of Duty" is a chilling story of murderous revenge.